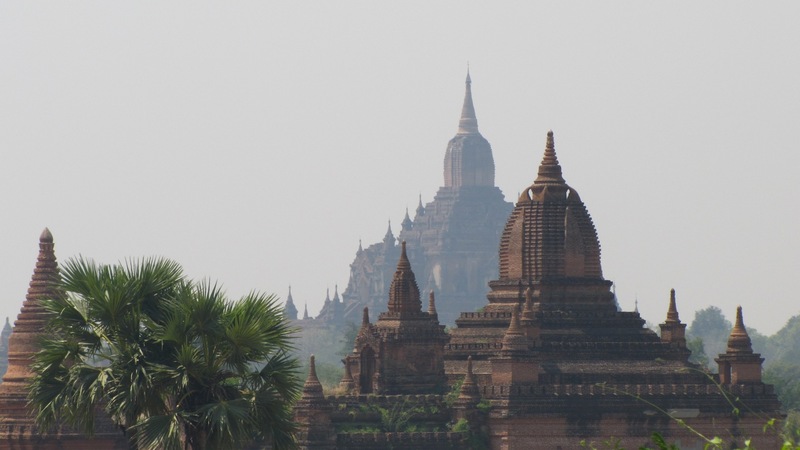 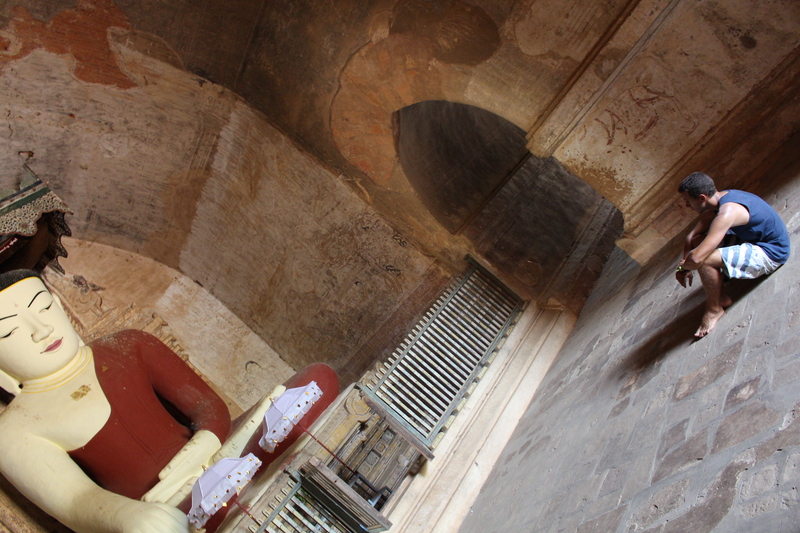 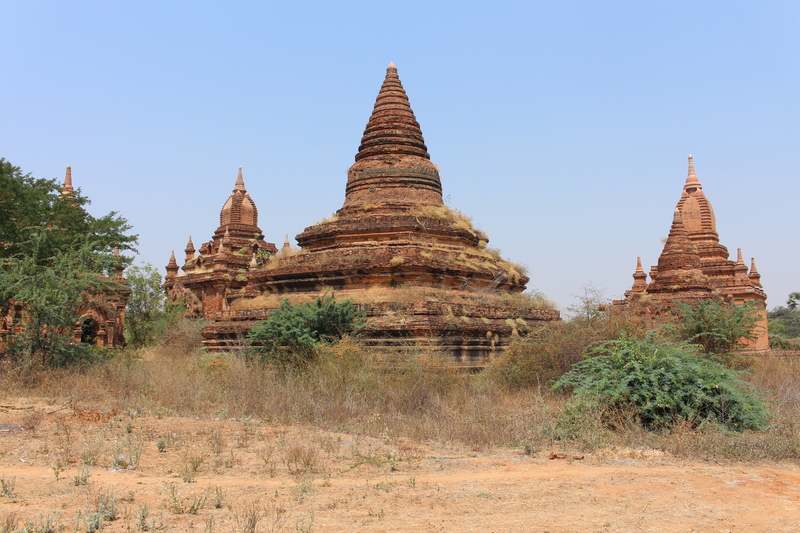 Myanmar part 2: The 2000 temples of Bagan | Hello World! 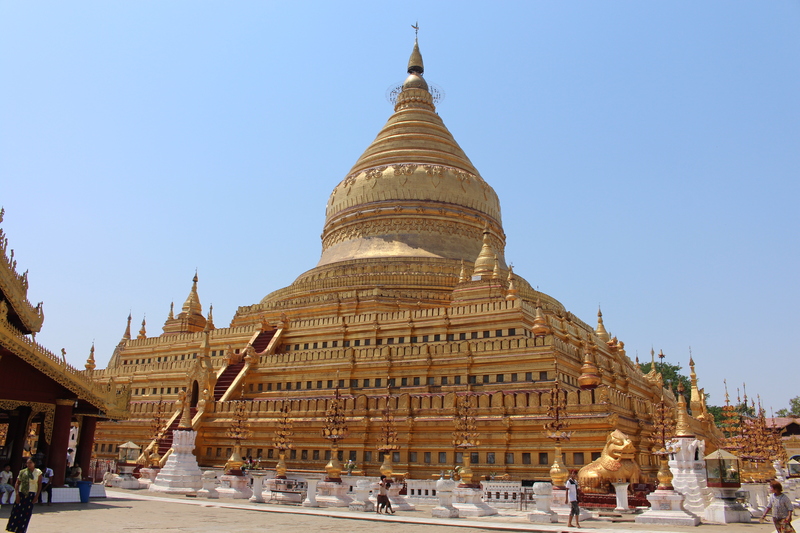 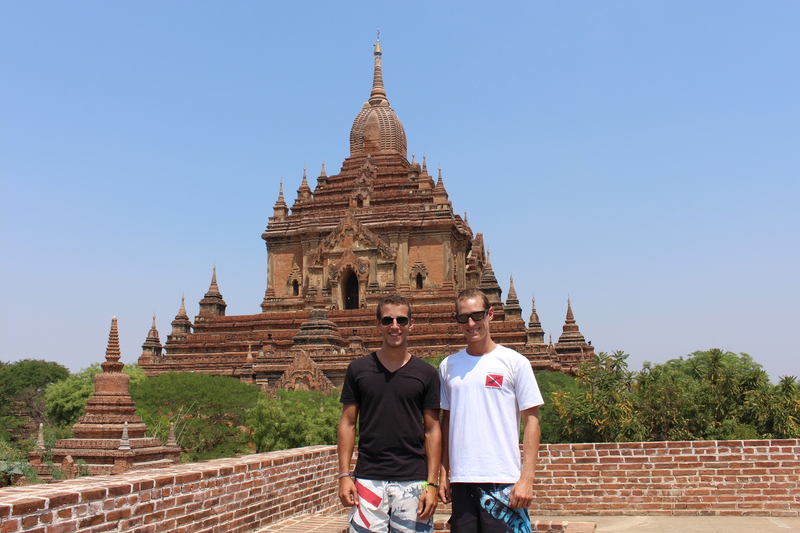 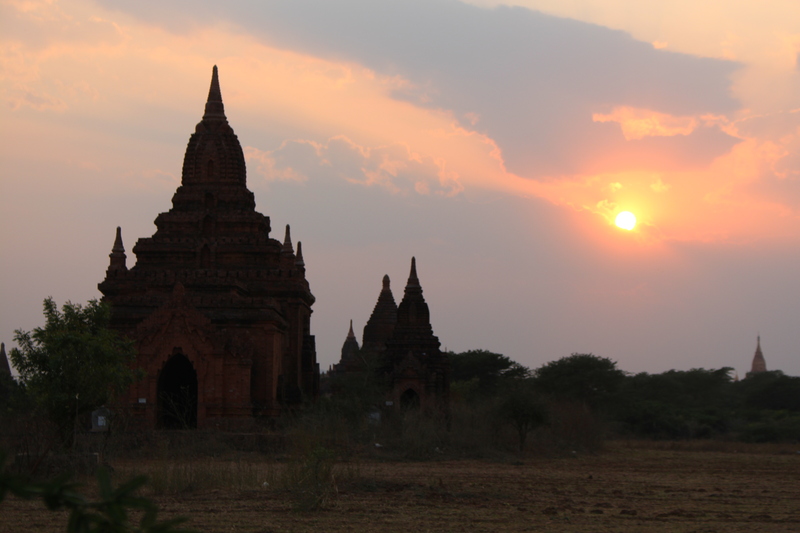 After spending a day on the Irrawaddy River, we finally arrived at Bagan, the highlight of our Myanmar trip. 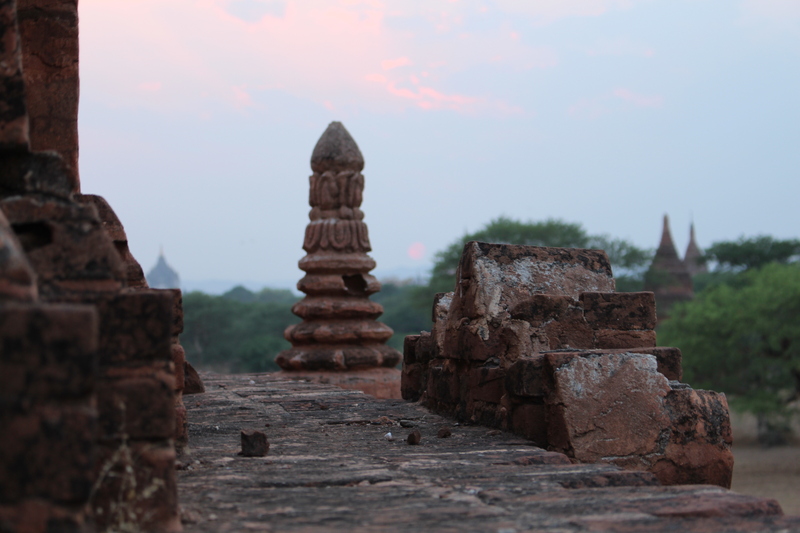 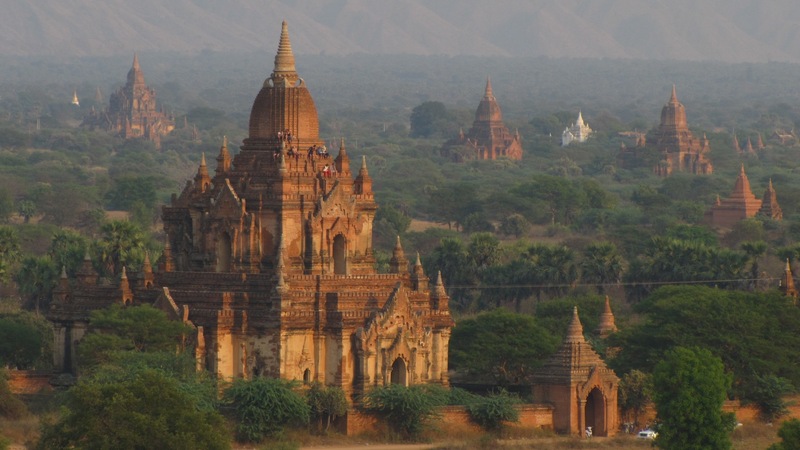 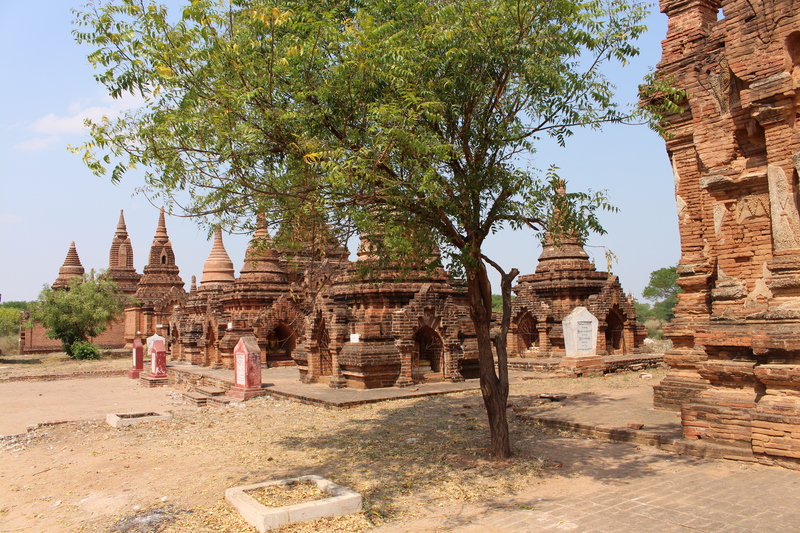 Bagan was the capital of the Burman kingdom and saw 55 different rulers, up until 1287 when Qūbilai Khān (the grand-son of Gengis Khān) took the city and left it abandoned. 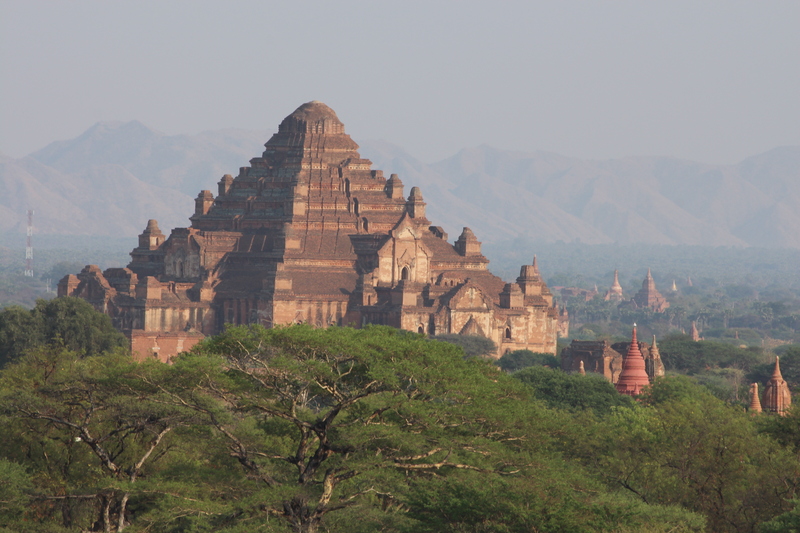 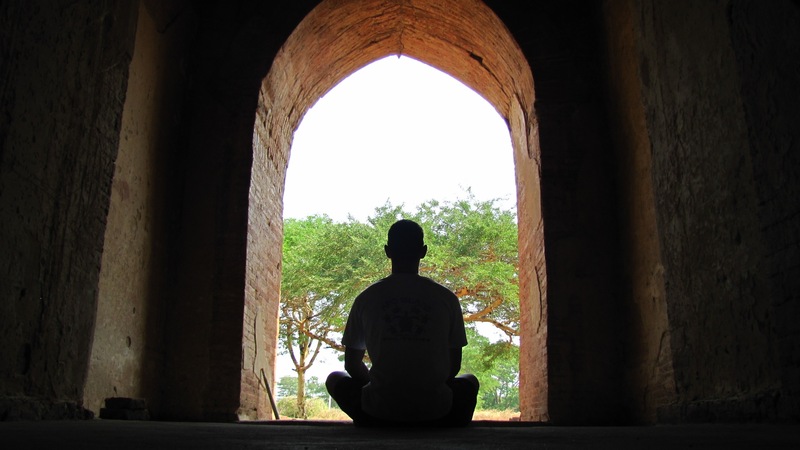 During its golden years under king Anawratha, the 42 square-kilometers city was believe to have more than 4 000 temples. 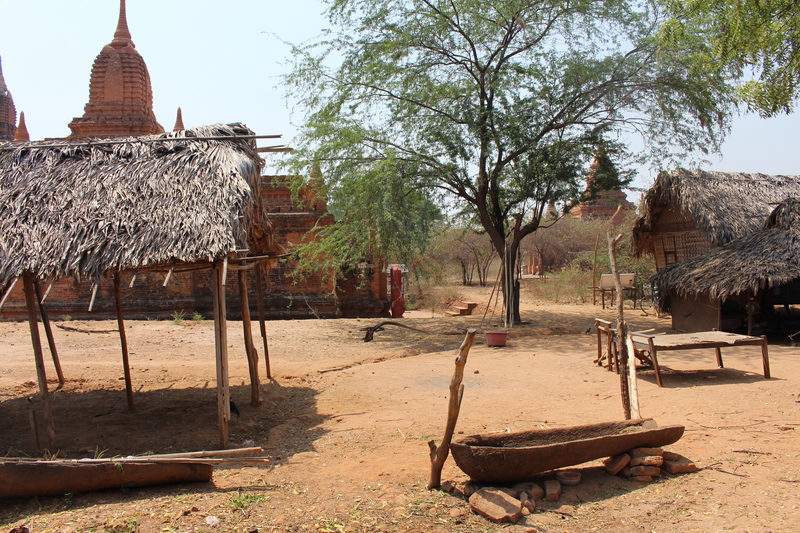 Earthquake and Irrawaddy floods progressively destroyed one-third of them. 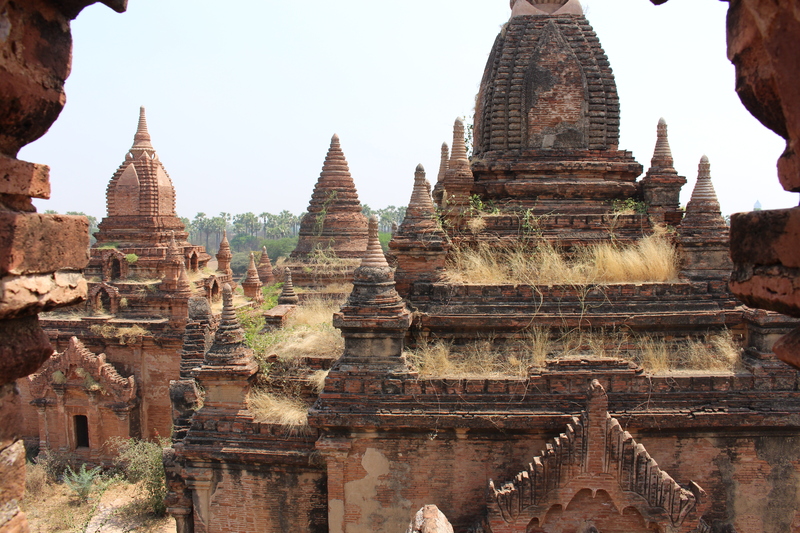 Today, this Unesco site counts 2217 pagodas, temples and stupas built between the XI and the XIII century and is literally breathtaking. 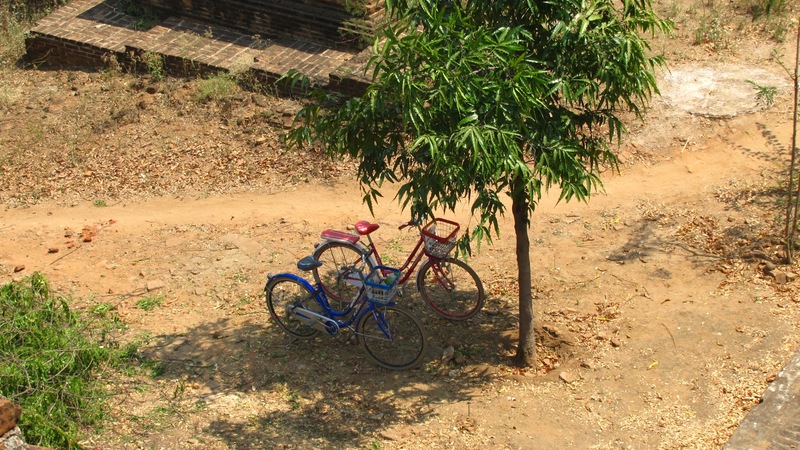 We rented bicycles for 2 days to discover it, and words can’t describe how incredible and memorable navigating between those countless history witnesses procured us. 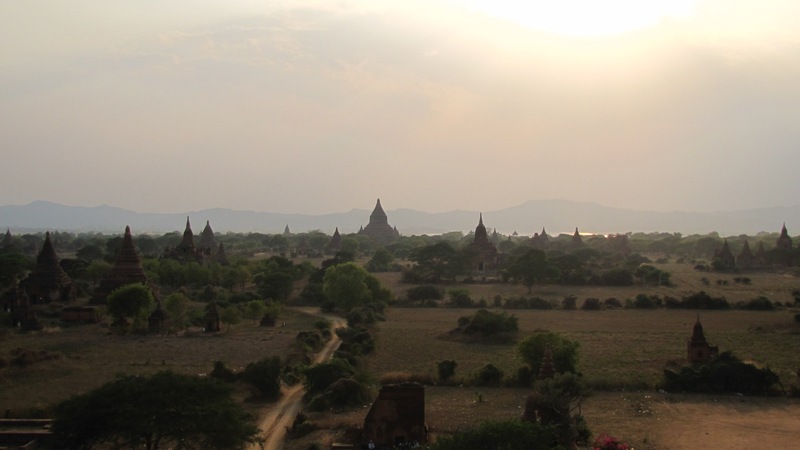 As per usual, a mechanical incident occurred with the bike as I was pedaling back from a sunset viewpoint, but I find some nice Swiss persons to take me on their horse carriage and bring me back to the city with my broken bicycle. 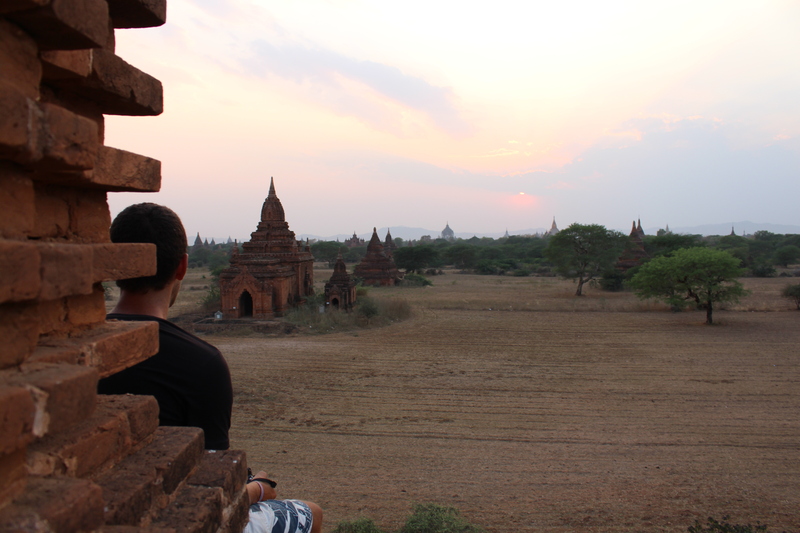 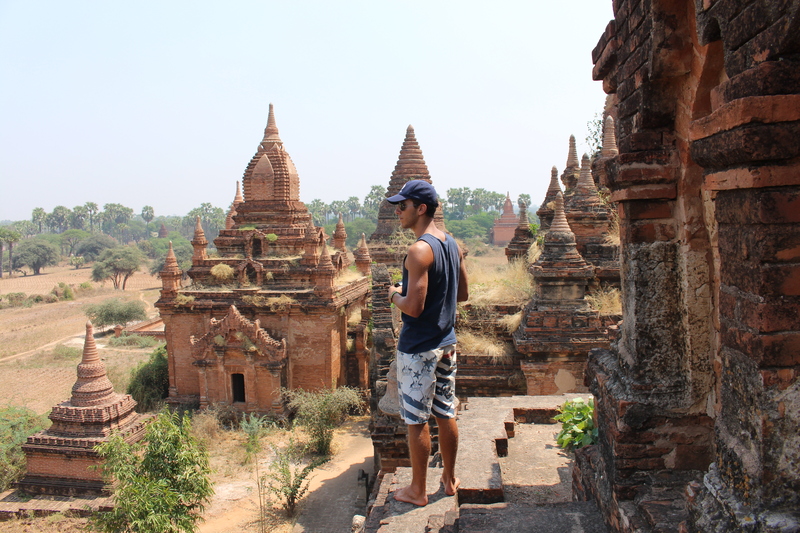 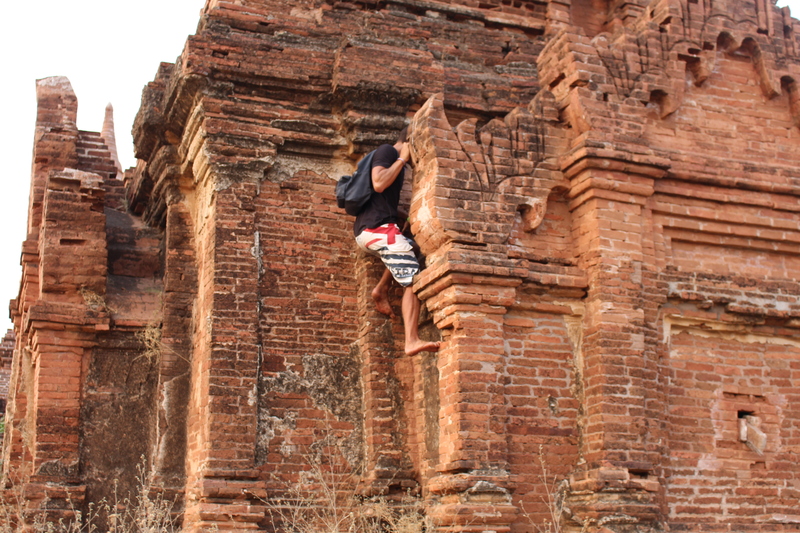 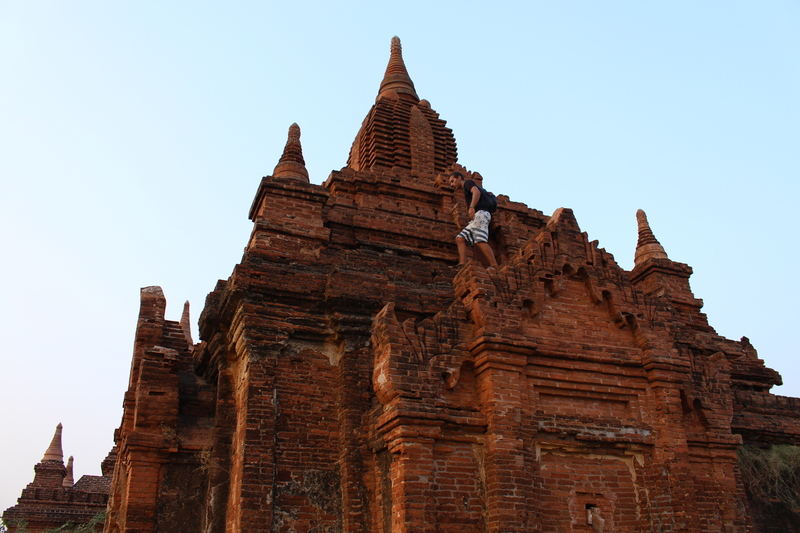 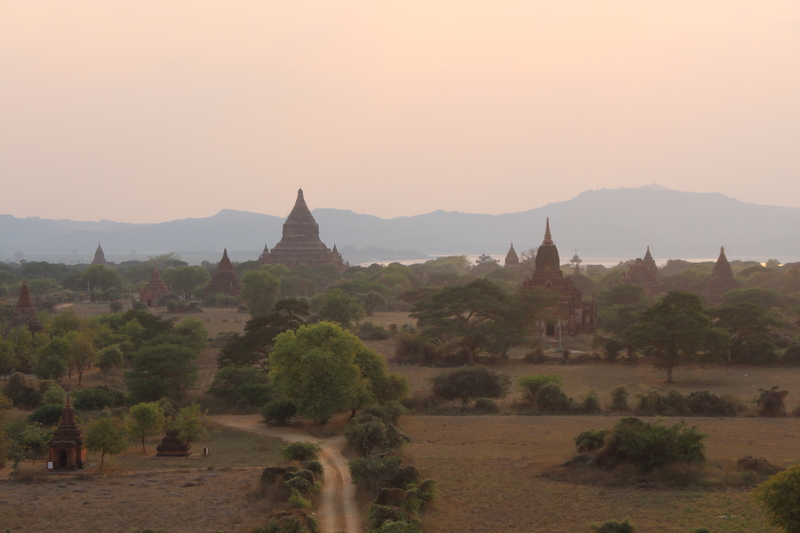 Overall, Bagan itself made going to Myanmar worth it!